Moon Children returns! Join us for storytelling & craft sessions based on Jen Campbell’s storybooks; Franklin & Luna Go To The Moon, and Franklin’s Flying Bookshop. We will traverse across planets, meet Kung fu fighting spiders & Disco dancing unicorns. Bring your little ones to The Moon for an evening of performance storytelling & a craft workshop that will have them creating their own planets or designing an edible gingerbread man. 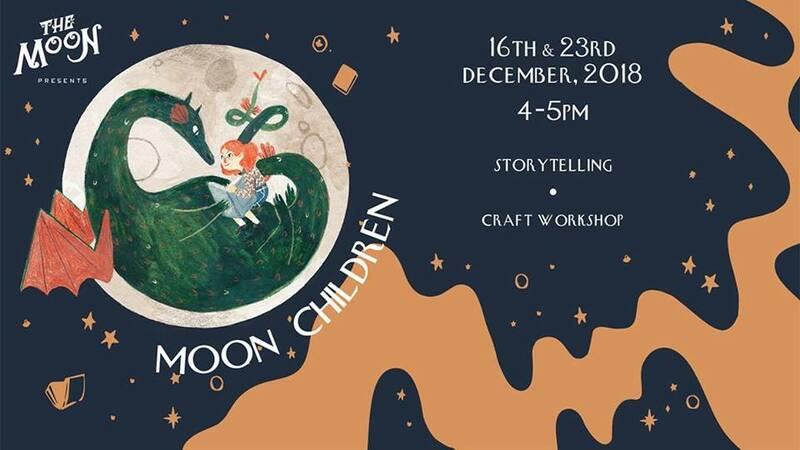 Happening 16 December 2018, 4pm, at The Moon for Franklin and Luna Go To The Moon (Craft session: Creating your own planet) and 23 December 2018, 4pm, for Franklin’s Flying Bookshop (Craft session: Designing an edible gingerbread man). Aqilah Faizall, 24, has been working with children for 5 years now, teaching English, Creative Writing & Speech & Drama. She currently teaches at Artistic Strategies Academy, & has previously worked at Lorna Whiston. Natasha Mary, 27, is an illustrator & fine artist. She’s the junior curator at STPI, a contemporary art gallery & creative workshop space, conducting arts & crafts workshops for children aged 7 to 15.